Hanging lamp with halogen point light (20W). 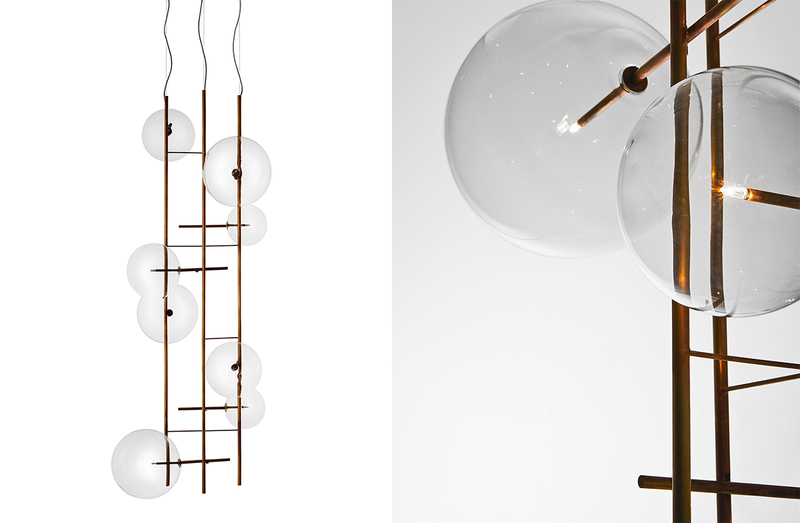 Eight transparent blown glass spheres. Metal parts in hand burnished brass. The hand burnished brass finish looks naturally spotted and irregular. Due to this handmade processing, each product is unique and exclusive. Please note: multiple pendants are shown in featured images. Please see ADDITIONAL SPECS for product sketch.